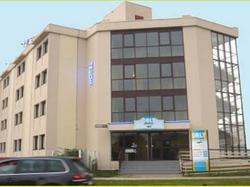 This hotel is located just 1.3 km from Paris Orly Airport and provides a free airport shuttle service. It offers 24-hour reception and guest rooms have a TV and free Wi-Fi access. All of the modern rooms at Orly Superior Hotel offer a telephone. Each has a private bathroom with a shower and toilet. A buffet breakfast is served daily in the breakfast room. The adjoining seating area has a flat-screen TV with satellite channels for guests' enjoyment. The hotel is just 5 minutes from the international market of Rungis. Guests can access the Parisian Metro system by taking the bus at Athis Mons shopping centre, a 5-minute walk away. Parking is free during your stay and is subject to availability. Buffet breakfast available from 05:00 to 09:30. Parking is subject to availability. It is only free of cost for the duration of the guest's stay in the hotel. Please contact the hotel upon your arrival at the airport to book the shuttle. Composed of 2 double rooms located next to one another.